Remember: All database remote passwords are case sensitive and lower case! 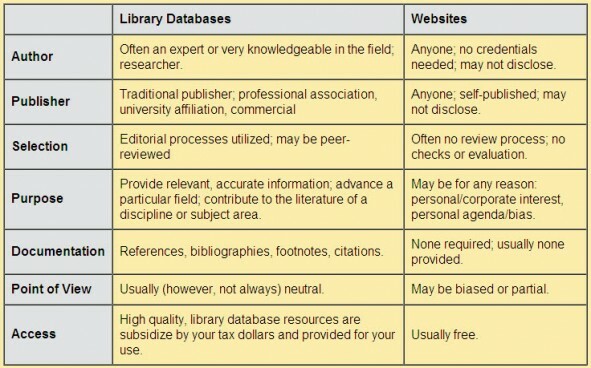 The following databases can be used to find reliable and accurate information. They are grouped into subject areas, however, some topics may fall under more than one area. You can access these databases from home but you will need to enter in usernames and passwords. ​*** Primary sources can be found within many of the databases. Those with an asterick(*) are recommended to use for finding primary sources.